Of the new city initiatives laid out by Bill de Blasio last week during his State of the City address, few were as ambitious as the mayor’s plan to build 11,250 affordable apartments on Sunnyside Yards. But, as it turns out, more than just the mayor are looking to turn the 200-acre property into their legacy project. Crain’s reports that since the plan was announced, Governor Cuomo has emerged with his own ideas, namely tunnels that would bring the Long Island Rail Road into the heart of Midtown. Former Bloomberg administration Deputy Mayor Daniel Doctoroff has also chimed in with a plan of his own that encompasses a huge new money-spinning convention center. But it doesn’t stop there; the clashing of ideas is just one of the burdens that comes with building on this coveted site—meaning we probably won’t see any affordable housing here for more than several decades. 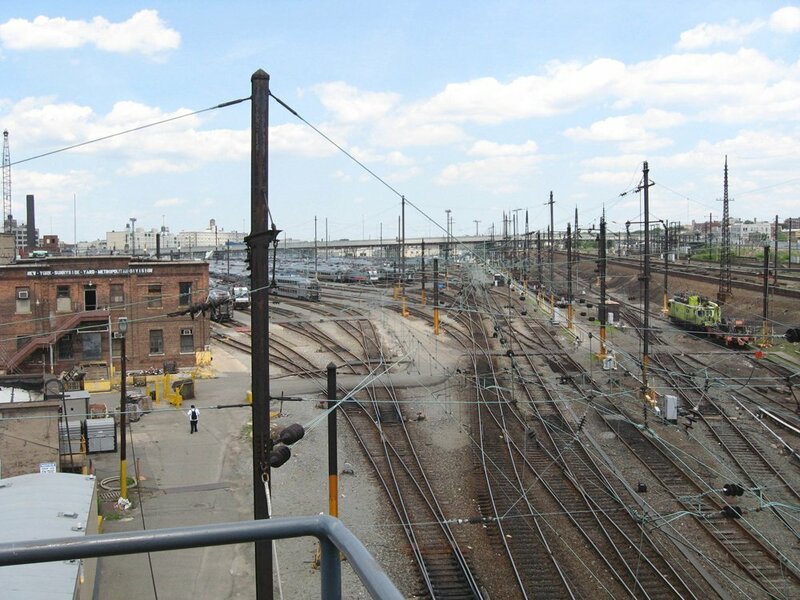 Whatever scheme is erected on the site faces the challenge of managing an existing infrastructure that was once called “a giant bowl of spaghetti that will never be untangled.” Bringing new developments to the area means building a massive platform over active tracks as well as piecing together land where property lines are so blurred that development would require that the Metropolitan Transportation Authority and Amtrak, who own the most key pieces of land, agree on the plans. 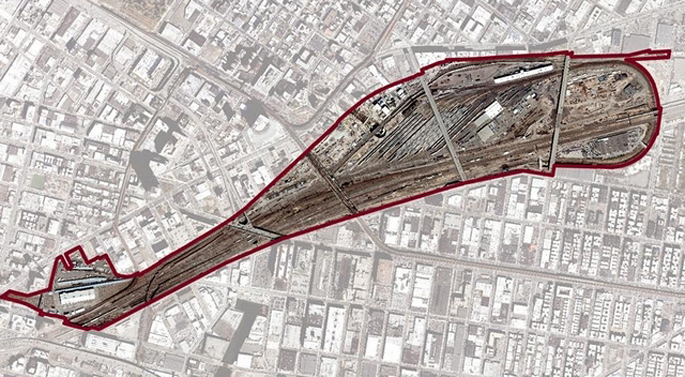 And though the city does own the air rights over two-thirds of the MTA’s 66 acres, it’s not clear where. Outside of the political issues is also the fact that the land isn’t very geologically stable. The deck that would be required for building could extend up to 8 million square feet, and according to Mitchell Moss, the director of the Rudin Center for Transportation Policy and Management at New York University, beneath that would be soft bedrock. The MTA, which is running trials of its own in the area, has also recorded that the bedrock is “a mixture of sand, clay and boulders [where] the water table is high.” The topography also poses a challenge for engineers as the site varies in elevation, meaning that the platform would have to undulate in order to fit seamlessly with its surrounding neighborhoods’ topography. This is not the first time that someone’s tried to build something on the site. Long ago, it was part of the city’s bid for the 2012 Summer Olympics, and later the Bloomberg administration considered erecting a massive convention center. Dan Doctoroff has since revived the proposal, backing it with feasibility studies that revealed putting a 3.1 million-square-foot center with retail and housing would come at a cost of $8 billion. The takeaway here is pretty much that whatever goes up on that site will cost an unbelievable amount of money because they would be building something from scratch—from the deck to the water to the sewage to the electricity. The decking alone would take decades to complete, and 50 percent of the costs of what could be a 30 year project would be occurred in the first five years. The city and developers would also have to contend with local residents who in the past have vehemently opposed a convention center and any type of high-rise housing, given that the site neighbors the landmarked Sunnyside Gardens. So while housing will eventually rise, when, and in what scheme, is sure to remain up in the air for quite some time.